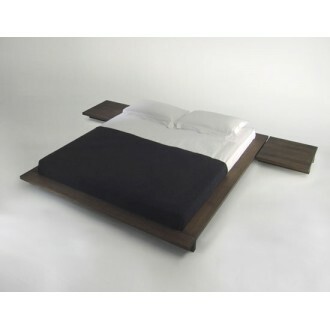 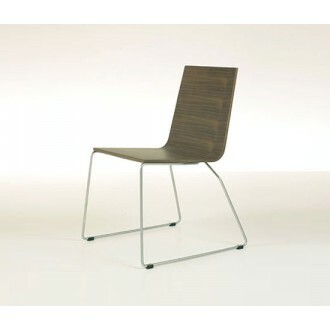 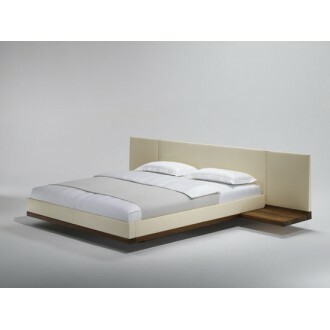 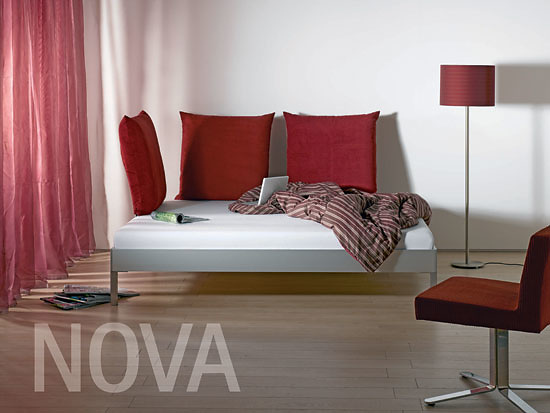 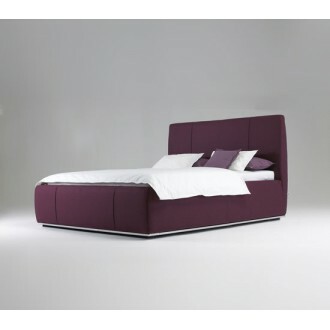 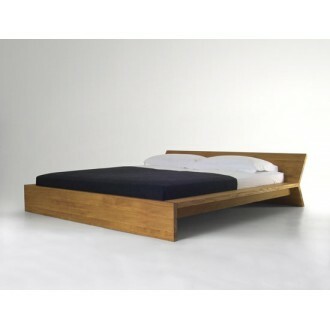 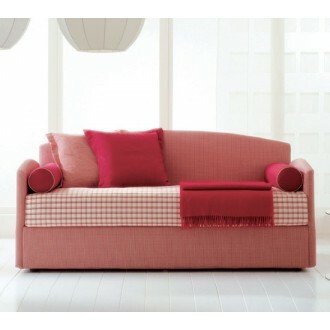 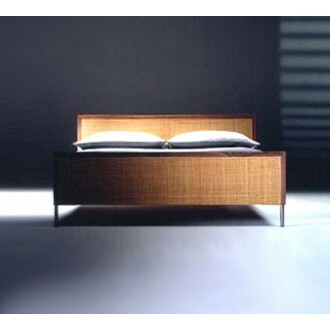 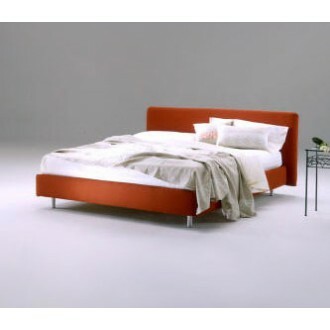 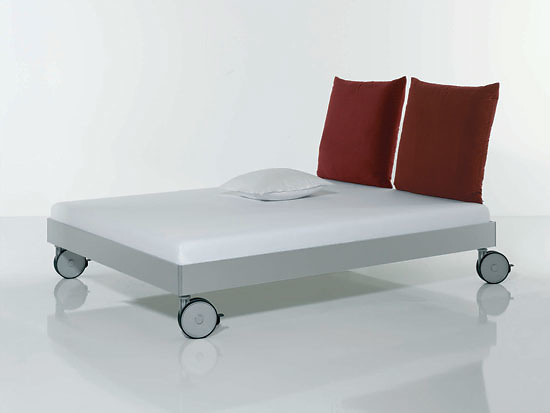 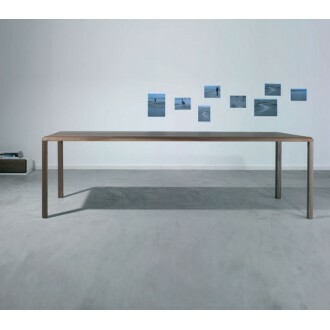 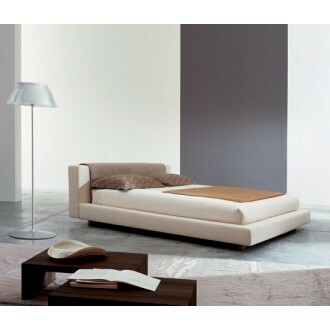 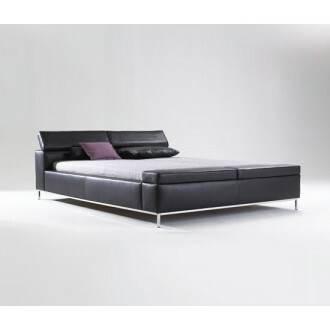 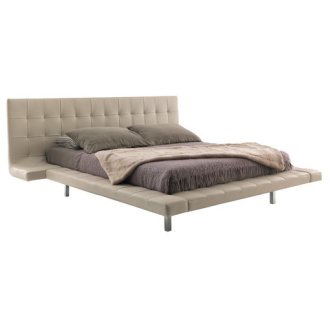 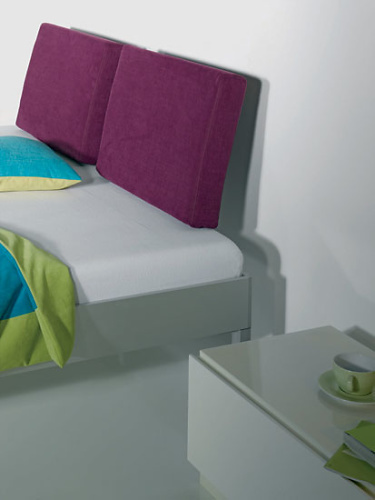 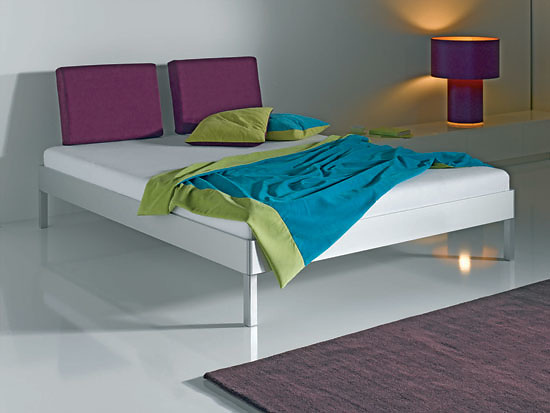 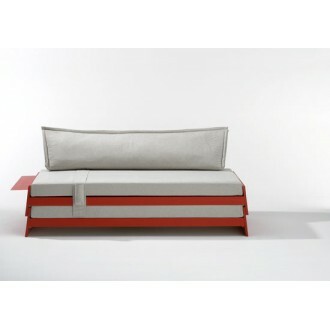 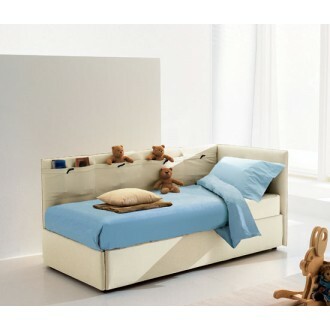 The bed offers the alternative of conversion into upholstered corner units or a daybed. 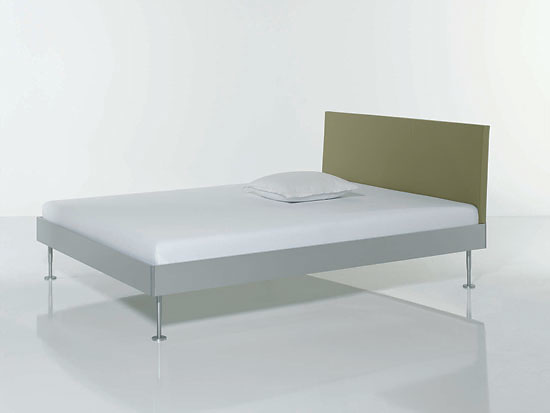 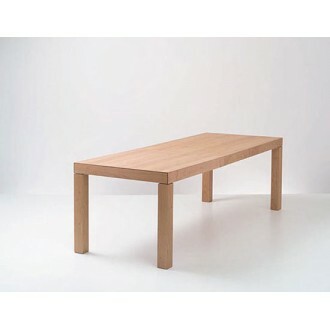 The various headboards, each consisting of a wooden core padded with plastic foam, can be inserted in any position and are easy to move around. 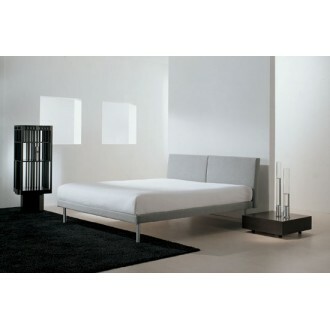 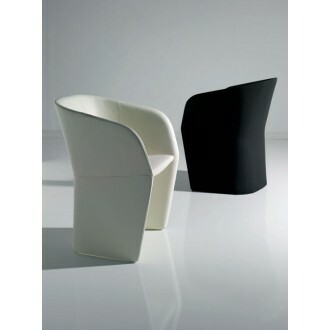 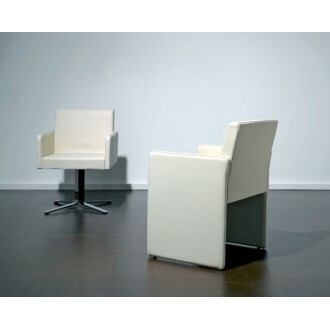 In addition, a curved and painted wooden rear panel in a variety of colours (black, creamy-white, silver) and an upholstered version are available, which can be covered with fabric or leather like the padded headboards. 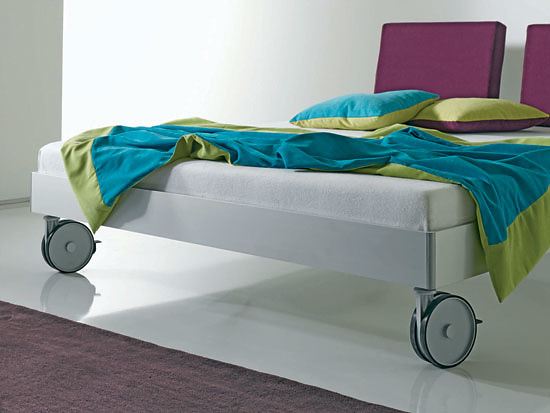 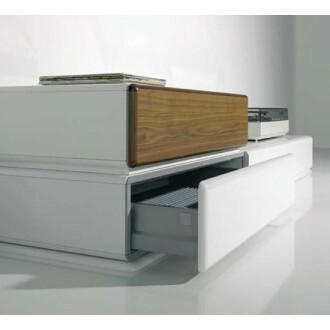 You can choose between various aluminium feet and a lockable wheel. 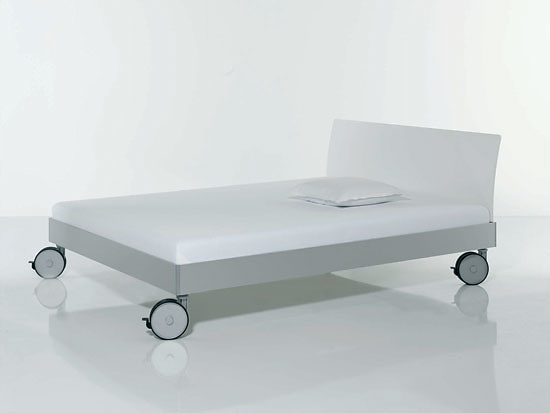 Please note that in spite of the integrated locking brake, the wheel is not 100% vibration-proof!